Lately, we’ve been getting a lot of questions from people all over the world about what it takes to land a teaching job. While we broke this down in our checklist before the break, we’d like to dive deeper into the very first step -- getting certified. If you’re a teacher relocating somewhere new, we're sure you’ve had the frustrating experience of trying to figure out certification standards for wherever you’re going. To help you out, we put together a checklist for certification specifically for the State of New York. You can find a more complete certification overview here, but this should help you set up a plan to tackle this challenge if you're an early career teacher looking to move there. Create a TEACH account. Most schools will review your account prior to making an offer. If you aren’t certified, they will verify how close you are to issuance. You will also use TEACH to apply for certification and track your progress. Identify your certification requirements. Each certification pathway has different requirements. This resource may be helpful for out-of-state applicants. If you still have unanswered questions, check out this document from the New York City School Charter Center. Create an action plan with specific deadlines for each certification step. Your goal should be to complete your certification prior to August. If this isn’t possible, have a clear rationale for your interviewer. Assign someone who will hold you accountable because… life happens. Having a second pair of eyes to check your work can’t hurt either! Register for applicable certification exams in accordance with your action plan. This site has both registration and test prep guides. Tackle the EdTPA. The Teacher Performance Assessment (EdTPA) is a portfolio requirement. It’s not required that your EdTPA be approved when you interview, but schools will most certainly prioritize certified candidates. Complete your workshops online (e.g. Violence, Child Abuse/Neglect, and Autism workshops). Find the DASA workshop provider closest to you. Send your documents to NYSED. We recommend that you send everything via certified mail/FedEx/UPS so it is clear when your materials arrived. These materials will not receive preference, but you can track a review timeline, if necessary, generally 4 – 6 weeks after receipt. Check in with your action plan and accountability partner each week. Do you have more questions in regards to certification in NYC? You can contact NYSED's Office of Teaching Initiatives directly or use their online form. While this article is less useful for those of you who aren’t looking to teach in New York, the process is similar in other states (with the exception of DC). The first step to finding out whether you’re certified to teach somewhere new is checking their Department of Education website to see what their requirements are. 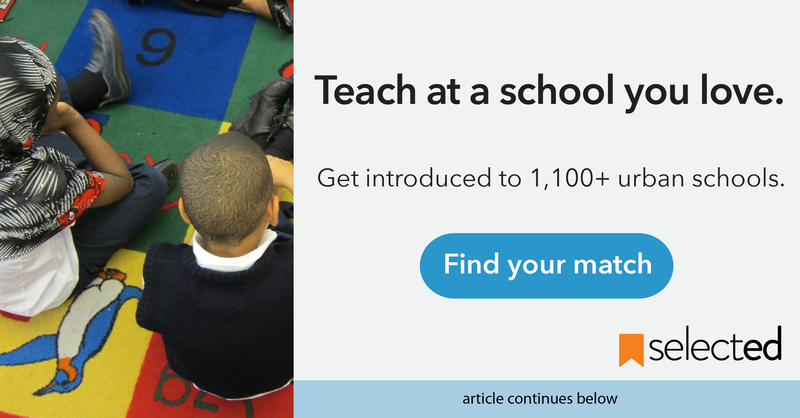 From there, you can figure out what you need to do next to land a teaching job in your new home. If you’re looking to make a move in the next few months, good luck! We’re rooting for you. Have advice on the certification process? Have a harrowing certification story you’d like to share? Email us at hello@getselected.com to share! Tips on teaching your students how to manage their feelings and foster their emotional well-being.